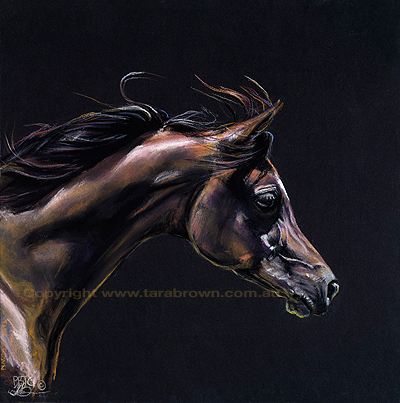 A Pastel Painting of the beautiful Stallion Simeon Samuel. the last owner of Samuel before he passed away. Mr. Burns and Rod Brown. 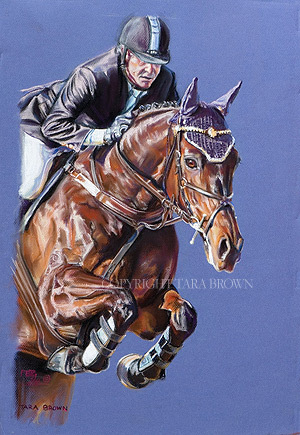 This painting was commissioned by Mr. & Mrs. Chapman (the owners of the champion showjumping horse Mr. Burns) after they saw my painting of the pair I'd been commissioned to paint for the NSW Showjumping Council. They liked the commissioned painting so much they wanted one of their own. 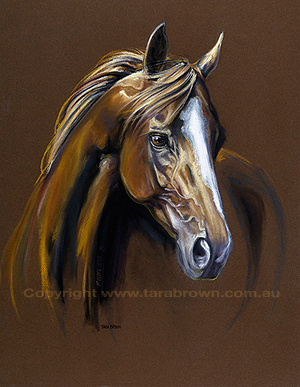 Proudly commissioned and owned by Bremervale Arabian Stud. 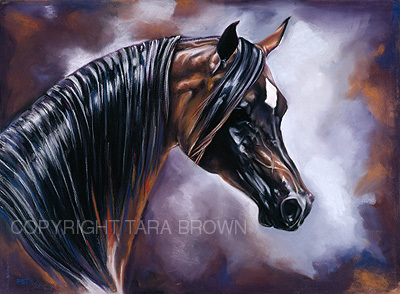 'Desperado' Principle stallion at Bremervale Arabian Stud, Qld, Australia. 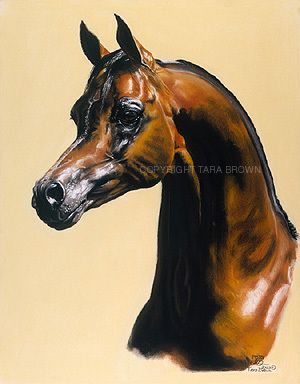 Commissioned by the Scone Race Club, NSW, Australia. 'Dark Jewel' was a prize broodmare who produced many winners. Her line is highly regarded and sought after in the Thoroughbred racing industry. 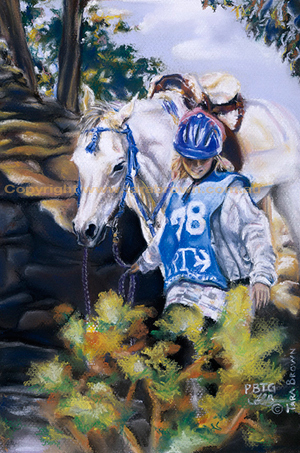 Pastel painting of Jacqui's horse. 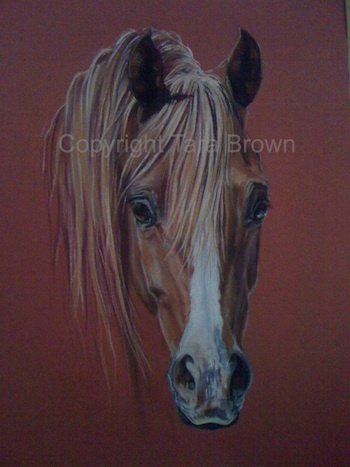 Commissioned by Karen Ford for Jacqui, to the delight of Jacqui. 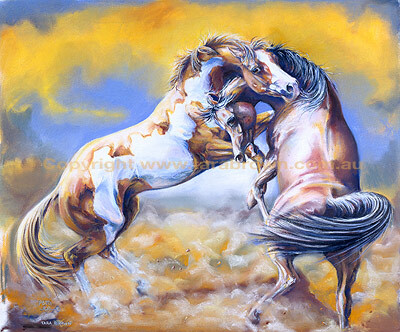 These two stallions are paddocked together often, and play like boys in the backyard.